Life without the Book of Mormon? Mormon readers left 612 comments (as of this writing), enthusiastically answering Mr. Nelson’s questions. From these comments and others that Mr. Nelson cited in his writings, Mormons shared some things one might expect. They said that without the Book of Mormon they would not know the restored gospel (Mormonism), they would not be putting their trust in modern-day (LDS) prophets, they would not consider that Jesus came to America, they would not set their sights on eternal families, and they would have no knowledge of Mormonism’s doctrines of heavenly parents and pre-mortal life. In reality, several of these things (and other prominent doctrines of Mormonism) are not to be found in the Book of Mormon, but for many Latter-day Saints the Book of Mormon represents an embodiment of their entire faith system. So, without the Book of Mormon (i.e., The Church of Jesus Christ of Latter-day Saints), all of the teachings specific to Mormonism (including those previously mentioned) would be unknown, whether actually in the book or not. These Mormon-specific answers to Mr. Nelson’s query are no surprise, but consider some of the other answers he received. Mr. Nelson’s Mormon readers told him that without the Book of Mormon their lives would be hopeless, faithless, joyless, empty, and without meaning. They said that without the Book of Mormon they would not know that God is a tender Father, that Jesus is the Christ, that there is a specific purpose for life, that there is life (resurrection) after death, that God lives and loves, and that Christ’s atonement plays a specific role in the plan of salvation. 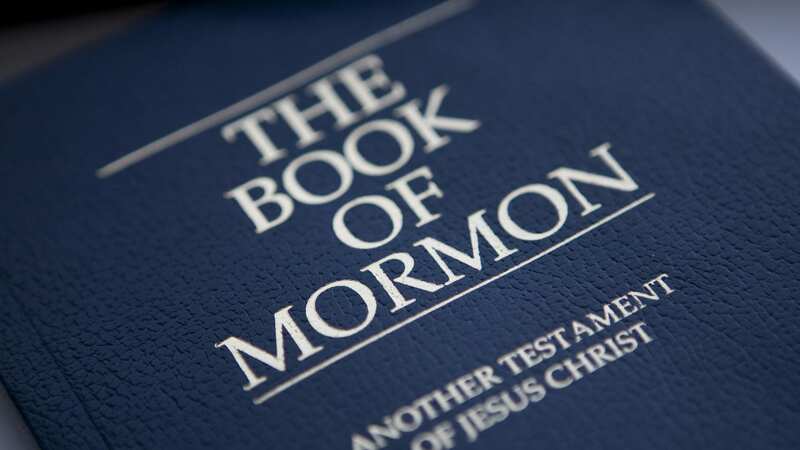 They said that without the Book of Mormon they would have no peace, no hope, no trust in God, no belief in Christ, no joy, no strength, no direction in life and, in some cases, no life at all (suicide). Joy (“Though you do not now see Him, you believe in Him and rejoice with joy that is inexpressible and filled with glory” 1 Peter 1:8). God loves (“For God so loved the world, that he gave his only Son, that whoever believes in him should not perish but have eternal life” John 3:16). What He wants me to do with that life (“For we are his workmanship, created in Christ Jesus for good works, which God prepared beforehand, that we should walk in them” Ephesians 2:10). Strength (“I can do all things through [Christ] who strengthens me” Philippians 4:13). How is it that without the Book of Mormon, my life is overflowing with all of these good things? I’ve read the Book of Mormon, yet I didn’t find hope, faith, joy, godly knowledge, peace, or strength in its pages. I found all of these things (and more) in Christ Jesus, the very Word of God (John 1:1-5). I’m thankful beyond measure for God and His tender mercies toward me. “Every good and perfect gift is from above, coming down from the Father of lights, with whom there is no variation or shadow due to change” (James 1:17). LDS apostle Nelson asked, “What would your life be like without the Book of Mormon?” Truly, the Book of Mormon adds nothing of value to my life. In fact, if I believed it, the Book of Mormon would rob me of my trust in Christ alone (see 2 Nephi 25:23) and my blessed eternal hope that rests on His grace and mercy (see Moroni 10:32). Are you longing for peace in your life? Do you need hope and strength as you travel life’s journey? Don’t search for it in the Book of Mormon; Jesus offers the rest you yearn for in Him (Matthew 11:28).